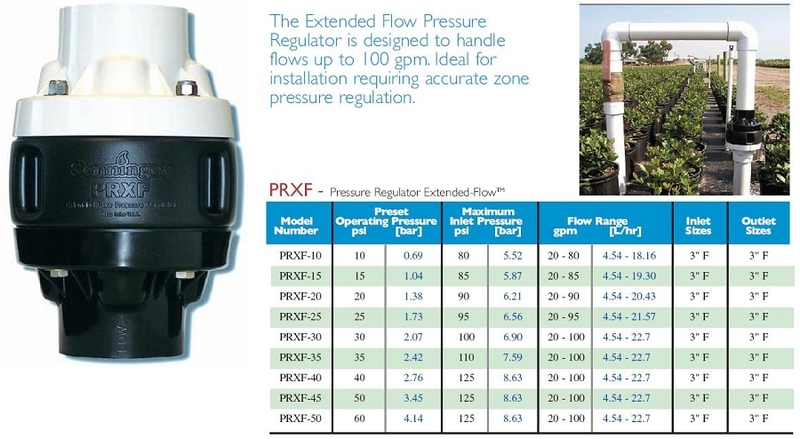 The Extended Flow Pressure Regulator is designed to handle flows up to 100 gpm. 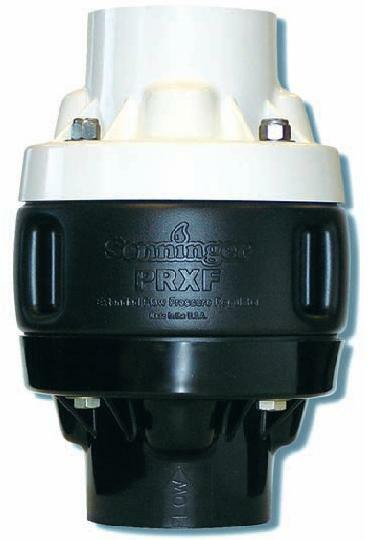 Ideal for installation requiring accurate zone pressure regulation. • Inlet / outlet configuration is 3'' ID solvent weld socket x socket.